Attorneys drafting cross-border premarital agreements occasionally overlook the importance of professional legal document translation services. At its most fundamental level, a prenuptial agreement with a foreign bride or a foreign groom is nothing more than a contract and thus must conform to the basic laws of contract. Must be executed voluntarily by both parties. Must contain a full and fair disclosure of all assets that the party has at their disposal at the time of the agreement’s execution. Must be executed by the parties themselves and duly acknowledged and recorded before a notary public. Contain an affidavit of support coming from the sponsor of the immigrating bride. The agreement must have a foreign language translation in the bride’s native language. The foreign language translation of the prenuptial agreement must be attached to the original agreement. 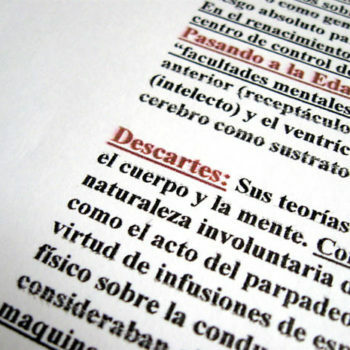 The foreign language translation must be an exact translation of the document on its face. If the document translation is not exact, the prenuptial agreement will be found void due to lack of mutual assent. If after an exact document translation is complete the bride cannot understand the terms without further explanation in her native language, the document may be found void due to a lack of clarity. Translation of Prenuptial Agreements from Languages Other Than English Read It!